If you already traveled through South America, especially by bus, you know very well how hard it is to find good quality services. Unfortunately, the lack of organization is real in some areas, delays are also something common. For us, South Americans, this is already part of the routine and we always take these things into consideration when traveling, now, for those from outside, this can be really annoying, but in both cases, it pisses anyone’s off anyway, especially if you are paying a good amount of money for the service. This lack of organization and being on time gives mixed feelings regarding safety during the trips, and it’s understandable. Although South America is not a dangerous place to travel (of course you always need to pay attention around you, just like anywhere else) this disorganization makes us wonder if we can really trust a company. That’s when Peru Hop steps in. Peru Hop is the first hop on hop off bus service operating in Peru. Created by two crazy Irish dudes, Will and Conor, who decided to go to Peru to create a travel system to make things easier and safer for us, travelers, giving us the possibility to enjoy the best of Peru without any hardship. The idea of Peru Hop is to bring us to the best tourist and beautiful spots in the country, some of them, not so well known, giving us all the comfort and offering a security transport in Peru. And I must say, as a South American, I’m very impressed and proud of the level of quality in their service. With them, you can go from city to city, visiting Peru by bus in your own time, There are so many cities you can choose to be your starting and finishing point. 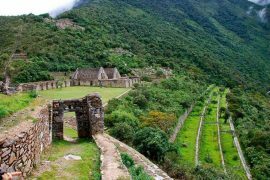 Peru Hop links the biggest cities in Peru and is a great option if you want to travel from Lima to Cusco by bus. 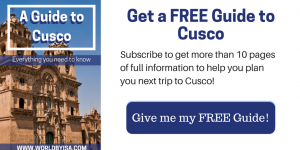 If Cusco is on your itinerary, don’t forget to get your free guide here! When planning your trip to Peru, the only cities that comes to mind at first are Lima and Cusco, they are definitely the most famous Peruvian cities. 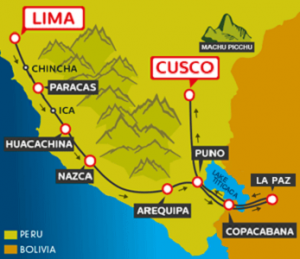 But they are in completely opposite sides of the country, so you will probably wonder, how to get from Lima to Cusco. Well, both cities have airports so if you have only a few days in Peru, you might want to choose a plane, however, Peru has much more to offer than just Machu Picchu. Although it will take longer than by plane, a good option to enjoy your trip through Peru and see more than the mainstream is taking a bus from Lima to Cusco. Peru Hop is a bus company that offers this service, and although you do have the option of taking the trip directly from Lima to Cusco, I do recommend their other options that include stops in different cities along the way. Peru Hop team do their best to make everything easy for you. Since the first day, they pick you up at your hotel, you don’t need to worry if they will remember you, they simply do. Once you put the name of your hotel in the database of your Hop Login, they give you the exact time they will pick you up, and you just have to wait for them, in the sofa of your hotel’s reception. No need to wait outside, no need to take the cold wind early in the morning, just sit there and relax, they will come for you. Just make sure to be on time though. 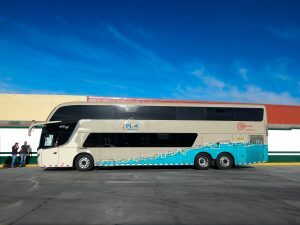 Buses – The company has a partnership with Inka Express, the best bus company in the country, famous for its luxury buses. And I have to tell you, these are REALLY comfortable buses, they all have 40 semi-bed reclining seats and enough space for you to have a good night of sleep. 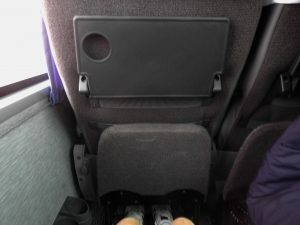 As a very annoying person for bus travels, especially because of my scoliosis I can tell you, Peru Hop buses are way more comfortable than many other South American companies I already traveled with, who advertised the same quality of seats. The buses also have a temperature controlled air system, so not only ACs here, like most of the buses but also heaters. Besides that, every seat has a blanket, not those piece of thin sheet here, I’m talking about real, good sized, warm blankets, those who you feel like wrapping yourself in, like a shawarma. Now if you are worried about your urinary incontinence, don’t worry! There is a bathroom inside! And depending on the bus, there is a bathroom on each floor, so in some cases, you don’t even need to hold yourself all the way down, just go straight buddy! It’s a liquid bathroom though, not a solid one, so please, let’s not mess with everybody’s trip here! In the case of calamity, just tell your guide, they will find you a suitable place, I promise. Entertainment – Peru Hop buses also count with 3 LCD TVs on board, to make sure you won’t feel bored on board, during the long trips, if you still don’t feel tired enough to knock out in the bus, you can watch movies until you fall asleep. Besides that, if you prefer the movies you have on your phone or tablet, or even, if you want to play your games, or use your gadgets for some reason, you don’t need to worry about your battery dying. Every seat has a USB port, so you can charge your gadgets whenever you feel the need to do so. Big seats, movies, good warm blankets…yeah I really made myself home there! You will probably ask me about wifi, ok we are the internet generation, etc. I tell you: No, unfortunately, Peru Hop buses don’t have wifi in them, BUT, there is a good explanation for this. While you make your way through Peru, you will notice that great part of the country is isolated by desert or the Andean mountains, most of the small houses on the way, you will see, don’t have electricity, nor the internet obviously, the reason is… the internet doesn’t reach these areas, so the buses too, they don’t have means to receive internet connection. So leave your phones aside, and let’s do how the 80’s kids used to do: Talk to each other, interact with new people and watch the beautiful view you have from your window! 80’s kid didn’t have internet, but they all grew up healthy, they survived, and so will you! in a Travel Tour company, it feels more like a trip with friends. Every guide we met was very enthusiastic and we can feel that they really love what they do, they love their country and they feel good showing others their everyday life and landscape, learning about a country and culture from the locals themselves, from people who do that with so much passion, is something priceless! Their good organization is also something remarkable, as I said, as Latin Americans, we feel proud to see such an organized company working in our areas, we feel secure to travel with such responsible drivers and travel guides, as we are so used to face issues during trips, from small to big ones, but both are exhausting, that when we finally find a company that does their job so well, we feel amazed. They really know what they are doing, they know where to pick each person up, and where to drop each person off. They keep their timetable, they don’t forget people on the way, they always count their passengers before departing. And to help in the security, every bus is equipped with a GPS, monitored by their office, so they know exactly where their buses are and can track if any of them takes a different route. Peru Hop uses the same concept of those Sightseeing buses you find in famous cities, but it covers the country instead of one city only. The idea is to take the bus through the country, stopping in the most famous cities or tourist points. Once you reach a destination, you can enjoy it for whatever time you want. There is no routine, no pre-made itinerary, you choose how many days you want to spend in each city, or you can simply follow the recommended trip plan by Peru Hop. 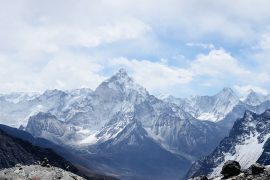 If by any chance, you had planned to stay just one day in one specific city, but arriving there you realized how cool it is and feel like staying one more day, no problem, just get in you Hop Login, and change dates in your database, easy as pie. Or even, you can leave it on hold until you decide when you want to leave the city. 1 ticket is valid for 1 year. There are many routes you can take, from short trips to long ones, a total of 52 options for trips. If you don’t have much time in Peru, you can go for one, two or three days trips, leaving from Lima or Cusco. Or you can choose one of the many long routes depending on the number of days you have in the country. The route we took was the longest one, that covered all available cities in Peru, and included taking the Bolivia Hop, the youngest brother of Peru Hop, through Bolivia as well. Being a Peru Hopper gives your certain advantages as well, besides the super comfortable and organized travel, you get many discounts in dorms and hotel rooms. The prices are way cheaper than what you find on the internet and really worthy, they really drop the price of your travel. The discounts are available in any city but Lima, Cusco and La Paz. 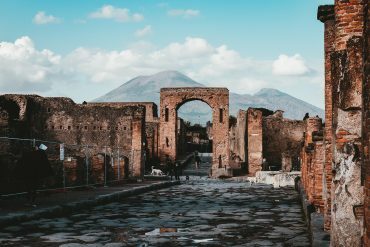 Besides that you also get the chance to stop at unique spots and take some free tours during the bus trips that are really out of the tourist route, with that, you get to visit new places that you probably never heard of, or get the chance to see things you never thought of seeing. Which was my case when we got to see the Nazca lines, this was a complete bonus for me! I know it perhaps sounds so commercial to hear only good things and no bad things, but I really didn’t have any issue at all with this company. Everything worked so well that my mom and I got amazed. As a truly Latin American, I can say that I was really expecting anything from them. I asked myself many times if they would remember to pick me up, especially on the first day, as I wasn’t staying in a hotel in the main avenue, I went full creative imagining all the reasons they would leave us behind. Turned out that they arrived at our hotel right on time, and the same happened in the other stops during the trip. I definitely recommend their service, because it is way more convenient than looking for public buses to each route, it also saves you time from moving around, plus it is way more secure and gives you the chance to meet new people. In Peru Hop buses you will find from young party people to old couples, to mother and daughter or father and son passengers, it is an interesting service for any age. Disclaimer: We received two Hop passes, but as always, all opinions are completely my own. Peru hop sounds like a great option for us tourists too, specially if one does not drive. Semi reclining beds are just what one needs on a long journey! Thanks for reviewing Peru Hop, I will bookmark it to try out for myself when I go to Peru. What a fabulous idea! I hadn’t heard of Peru Hop before this post but it sounds like something I would do. I have been looking at tours of Peru but sadly I don’t have very long to spend in the country as I only have limited holiday days. 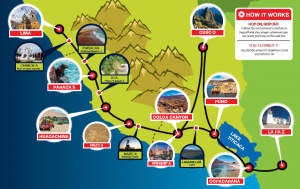 Peru Hop looks like the perfect way to get from Lima to Cuzco and back again, I’m sold! Looks fun and comfortable. Never tried a hop on hop off bus since I am scared to hop off on the wrong location and get lost. But happy to read this story and learn a bit more about it. lol I know how it is! This was actually my first time trying a hop on hop off and I was so afraid of this was well hahaha to my happiness, it didn’t happen at any point! This looks super useful and convenient, and such a great idea! I am actually planning a trip to Peru next year, so I will definitely have to check these guys out to help me get around the country. Sounds like a really comfortable and convenient way to travel. I’ll have to remember them if I’m ever in Peru. How awesome to have a service like this for those travelling in Peru. 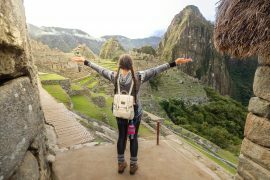 Peru Hop definitely would be an option I would look into to see the most of the country! Good article. Regards about your helpful work. What a fabulous idea! Quality article. It is a awesome post. Amazing picture. Love to visit your blog. Thanks for sharing. This is something that is on my bucket list to do in the next few years. We did something similar in Australia and New Zealand and had the time of our lives. I can’t wait to go!!! Thanks for sharing! Thank you this will be an excellent travel option for when I visit my friend in Peru especially if she’s too busy for me to carpool with her. I have never been to South America. Peru is one of the countries I would love to go to one day! Thank you for sharing this. Peru is a really amazing country to visit! It has everything someone could look for, big cities, forests, deserts, beaches, history, etc. I’ve always wanted to travel through Peru! I’ll have to bookmark your page and come back in the future when we start planning our trip. sounds like a great deal tbh. and relatively fun! That’s a really convenient way to see Peru. Great, comprehensive coverage by the way. I feel like everything I need to know about the service has been covered. I have always dreamed about Peru. This trip sounds amazing! This looks like a great option! I can’t wait to look into this some more.